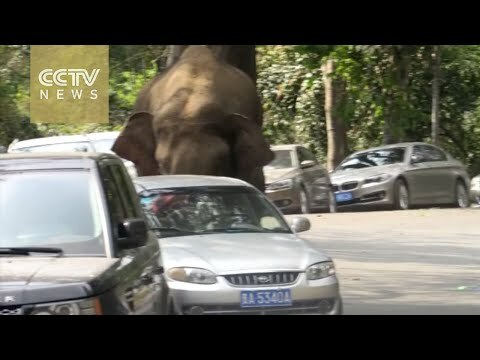 A wild male elephant in Yunnan Province attacked 15 cars that were parked on the road on Friday. The rampage continued for 20 minutes as the elephant broke windows and smashed the roof of those cars. A police officer on duty shot this video as he was trying to deal with the situation.